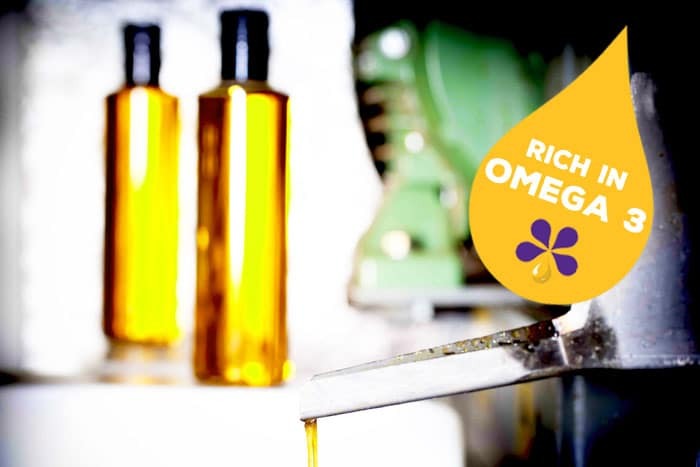 Independent nutritional reports commissioned by Yorkshire-based flaxseed oil producer, PureFlax, show flaxseed oil contains more omega-3 than cod liver oil1 and is the richest vegetarian source of Omega-3 fatty acids. Flaxseed oil also contains a low level of Omega-6, which is important for healthy joints. It’s beneficial to supplement your horse’s diet with Omega-3 because he cannot make this vital fatty acid. Diets often contain high levels of Omega-6 fatty acids and low levels of Omega-3, which can have a pro-inflammatory effect. As we go into summer, ensuring your horse is having a sufficient daily intake of omega-3 is particularly important because a high Omega-3 to Omega-6 ratio can help skin problems. It can also sustain insulin sensitivity, which can aid obesity. For horses and ponies on poor or restricted grass, flaxseed oil provides a fantastic supplement to maintain all round health. Flaxseed is also beneficial broodmares and stallions as it enhances fertility. The high levels of Omega-3 found in flaxseed oil additionally provide a variety of year-round benefits, including promoting mobility and flexibility in old or injured horses. For horses with dry, scurfy, itchy or flaky skin, the omega-3 in flaxseed oil will improve skin condition and produce an outstanding sheen. Omega-3 also promotes hoof horn growth and supports the immune function. It’s beneficial to supplement your dog’s diet with omega-3 because he cannot make this vital fatty acid. Diets often contain high levels of omega-6 fatty acids and low levels of omega-3, which can have a pro-inflammatory effect. Dogs in particular can see a benefit with the flaxseed oil because increasing the Omega-3 to Omega-6 ratio can help responses. Flaxseed oil also helps dry, scurfy, itchy or flaky skin by improving skin condition and promoting a soft, shiny coat. The high level of Omega-3 found in flaxseed oil can further promote mobility and flexibility in old or injured dogs, as well as aiding insulin sensitivity, which can help control obesity in dogs of all ages. For dogs that have undergone surgery or are suffering with an illness, Omega-3 will help support the immune . “Many people aren’t aware that flaxseed oil, which we make using Linseed flowers, is rich in Omega-3. As a vegetarian option, it’s also better for the environment as it prevents further damage to the already massively depleted cod stocks.